Easily find out the presentations in the same class using the Related Tag feaure. Now you can view the Related Tags for each presentation in SlideServe. 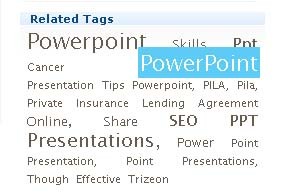 While uploading presentations add Tags in your presentation. Tags are helpful to reach more people to your presentation.